Once you’ve tackled step one, the next important step is to establish your most basic, everyday personal needs. Making sure you attend to your needs every day will ensure your physical health does not deteriorate even during a dark phase and may pull you back to reality – even just for a little bit. Personal hygiene, physical health, domestic hygiene and nutrition are just some of our most basic needs as humans and as individuals. From experience, I know that simple steps like washing your hair, cooking a healthy meal or addressing physical illness can seem like monumental tasks with the weight of mental illness on your back. But believe me, forcing yourself to take that shower, wash your bed sheets or do your weekly shop will bring back a sense of normality and make you feel more human. These steps may also remind you of the joy in simple tasks like cooking or taking a bath and that some are easier to tackle than you thought. Once you’ve taken care of your basic needs you’ll slowly but surely find you have the energy and will to practice self-care even further. It’ll start to snowball before you know it. I always loved getting my school timetable at the start of the year, and I still do! A sense of routine can help massively for those who suffer from anxiety but for all mental health conditions too. The ease of anxiety by routine potentially lies in knowing what you have to do and when – nothing is left to guess work. A pattern of behaviour and scheduling of self-care every day can set into motion positive habits that will greatly improve your everyday life. Scheduling laundry, weekly food shops, cleaning your room or even pamper sessions ensures you take care of daily and weekly essentials while allowing for indulgent acts that bring you joy and relief from mental ill health. Use your phone or buy a diary, even use an excel spreadsheet if that floats your boat, and schedule in specific tasks and ‘me’ time and you might just see the cloud start to lift. 4. Identify stressors and triggers. You may be familiar with the terms ‘trigger’ and ‘stressor,’ but for many who suffer from mental illnesses identifying personal, specific catalysts for symptoms may not be at the top of the list. Certain situations, environments or events may cause your symptoms to heighten or resurface resulting in you being pulled backwards in your recovery journey. Not ideal, right? Certain activities such as drinking alcohol, visiting new places or increased workload were just some of the triggers I myself was able to identify but everyone is different. It may be worth sitting down and thinking back to when your last ‘bad phase’ was in order to identify what the causes were. 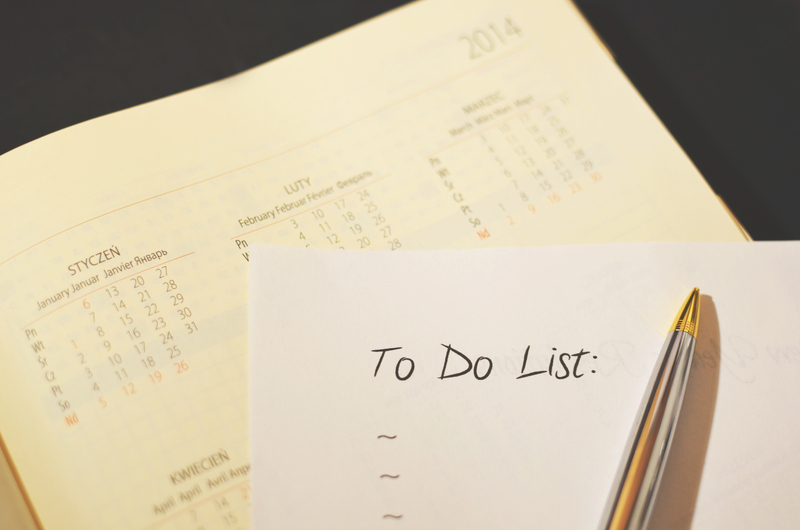 Keeping a running list may also be beneficial just in case different stressors and triggers come to mind or develop. Once you’ve recognised your individual stressors and triggers, you’ll be better able to recognise them when they occur and implement coping mechanisms. Managing workload by writing study plans and opting for alternative social environments to avoid alcohol were just two of the strategies I implemented in order to manage my own stressors. Understanding yourself and what impacts you is a vital component of pursuing balance. If it helps, tell your nearest and dearest or someone you trust about your stressors and triggers so they know to keep their eyes peeled. It might be time consuming but it will have a greater impact than you think. Just try it. Finding my ‘thing’ took some time, but through trial and error I found exercise – walking, weight lifting or cycling – and baking. Everyone has something they enjoy, a hobby or activity, which will ultimately ease the burden of mental illness. The indulgence of our interests and hobbies links back to Step One, be selfish and do what you love. I found exercise and baking greatly helped me to manage work stress since they are both practical activities but everyone is different. Through exercise I am able to switch off my overworking brain and focus on completing one activity and baking allows me to accomplish something tangible when working on essays or assignments. Whether it be art, cooking, writing or exercise, adopting a hobby or activity can help a lot of people when struggling with their mental health. So why not explore different options or revisit a hobby you once enjoyed? Symptoms of depression and anxiety have a tendency to manifest themselves in our physical health and wellbeing. Bad skin, dull hair, fatigue and weight loss or gain are common manifestations of symptoms and ones which must be listened to if you are to improve your mental health. Listen to your body and respond accordingly – rest if you’re tired, manage your nutrition if you’ve gained or lost weight and drink more water if your skin is bad etc. While responding to such manifestations of symptoms may not completely solve the issue, it will alleviate the symptoms at the very least. It is undeniable that physical and mental wellbeing are intertwined so focusing on both may lead to a distinct improvement in your general wellbeing. Ensuring you buy and prepare nutritious food is another key step in the process of self care for a range of reasons. Foods high in sugar, for example, may compound symptoms such as low mood, weight gain or bad skin. So, the 80/20 rule is a good one to follow. 80% of the time focus on eating nutritious, whole foods and 20% of the time eat less nutritious foods that you enjoy. Eating a high protein, high fat breakfast such as eggs, instead of high carb such as toast, may alleviate symptoms for those whose appetite increases heavily as a result of anxiety or depression – due to protein and fats keeping you fuller and satisfied for longer. Increasing water intake may also combat a lack of concentration and reducing stimulants such as coffee and alcohol may alleviate insomnia or fatigue. The process of planning meals and making shopping lists as well as shopping for the food itself may prove therapeutic and will link to Step 3. Most of all, learn to strike a balance between food and drinks which are nutritious and those that you enjoy. Your physical health will improve as a result of eating more whole foods while incorporating foods you enjoy will improve balance and food enjoyment. 8. Keep loved ones close. It may seem like a simple step, but ensuring you keep your loved ones close will see you develop an effective support network. Identifying individuals such as your parents, friends and siblings who understand your situation and needs is highly beneficial. Learning to lean on the most understanding individuals in your social circle or family may also lead to so-called ‘toxic friends’ falling away, resulting in a positive support network around you. When times get tough, learning to open up to those around you will be key to your stability and will alleviate the anxiety of those who worry about you and your health. Remember to ring your Mum and tell her you’re okay! Last but not least, recognise that improving your mental wellbeing is a process. The term ‘it’s a marathon, not a sprint’ may seem relevant but chances are there won’t be a finish line, it is an ongoing process. Most of all, learn that following the steps above signal a lifestyle change, a change which will lead to improvement in many areas of your life. For those of us who know that there will be low points throughout the majority of our lives, making a lifestyle change early will be like learning to ride a bicycle. Once you’ve learned how to ride, you’ll never forget. Olivia is a War Studies student at King’s College London. I’m Olivia, a third year War Studies student with a passion for mental health support advocacy and supporting those who are struggling.